2) When I posted under your blogs you censored me for no valid reason. 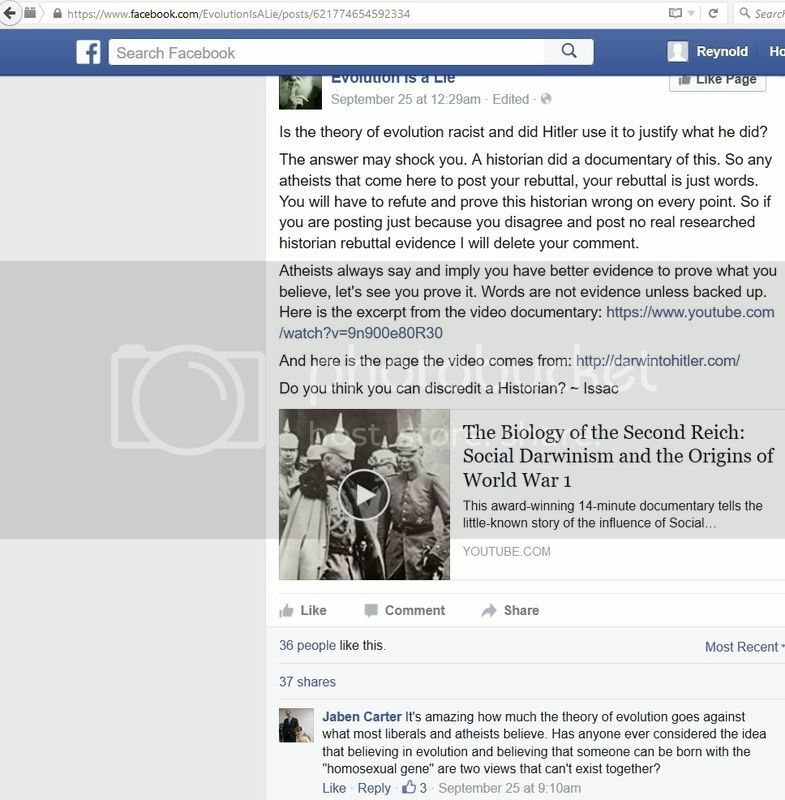 3) No, other young earth creationists did that before you (after I commented on their blogs and so forth). 4) You are speaking falsely with that question. It's not personal but I detest the evasiveness, censorship, and false accusations that are so frequently made by online young earth creationists against people who are pro-science ie they accept the scientific consensus instead of loudly proclaiming it to be a 'Lie'. 1) Yes right you don't know me. 2) There is always a reason. Your rules are not the world's rule. Who died and made you ruler of the world anyway. You guys could ban me here for no reason. I'm not going to act like a internet stalker. I'm not going to take it so personally that I make up threads just dedicated to each person I hate because they banned me. That is there right. It's called freedom. Do you even understand those things? 3) I can sniff out a troll just by the arguments they use. You were just mad because I saw what you were so quickly. When you come on a blog, forum, or a FB page and use the term sky daddy, flat earther, moron etc...I will ban you before you even get started. Only trolls start out that way. And if that's all you got and all you are going to do. Then you are wasting my time. Pure and simple. Example: I come here and say, you are nothing but a bunch of racist nazis baby killers that believe in evolution. How quick would the admins here figure out I'm a waste of time to deal with and ban me? About 2 seconds. It's not my problem that you cannot have a civil conversation. 4) And you answer right there is why every creationist has a problem with you. When some even remotely shows you up for the things you say and do, it's everyone Else's fault, not your's. No creationist likes you or wants to debate you for that reason. You are so bias and one sided, and have a huge superiority complex no creationist can stand it. Yet all that is my fault? No I don;t think so. But what you did there with your answer is try to make it look that way. When you call everyone a liar you disagree with you know how we picture it because that your favorite word? A child sticking their fingers in the ears and going lalalalalalalalala then going liar liar liar etc... It's a childish game. 5) With the attitude you present I' shocked that you admitted this. But if everyone else lies how can this be true? So let's go into the logical side of this shall we? You basically claim and imply strongly that anyone that disagrees with evolution is a liar, correct? Last I looked evolution has not been proven an absolute and absolutes don't exist in science, correct? So what exactly is a non-absolute true proven fact? It's an oxymoron. So you can't be calling people liars when evolution cannot be an absolute and still be a theory. Remaining falsifiable = not being an absolute, not being true, and not being proven. It's supposed to be the best explanation science has and that's as far as it goes. When you step out further than that then you have step out of actual science and made something it's not. Something that beyond that boundary makes everyone have to have faith. Therefore it become religion. And that is why it competes so well against creation. Faith is what they both have in common because atheists take it to far. No one teaches the boundaries anymore so it's become a faith. Of course now you will say I'm lying again right? But to prove that you have to have absolutes or lies don't exist. Because without absolutes there is no truth and therefore no lies. Because without absolute truth who could prove someone was absolutely lying? So when you say I'm lying I laugh because I know you cannot define it without truth. So banning you quicker than anyone else ever did is what makes you hate me? Sorry but that just makes me roll my eyes. Yes it is, right there you lie. Oh did I just do what you do? How do you like it? You do it with vigor and you make sure everyone's name gets put up as the worlds biggest liar because they disagree with you. Do you have free speech in the UK? Thanks Haworth, I thought you had everything set up to debate here. They deleted posts, came at me with a sarcastic attitude. I'm outta here. I was warned not to debate here by several. If you want to debate me we do it some place else. Bye. IssacBourne wrote: Thanks Haworth, I thought you had everything set up to debate here. They deleted posts, came at me with a sarcastic attitude. I'm outta here. I was warned not to debate here by several. If you want to debate me we do it some place else. Bye. 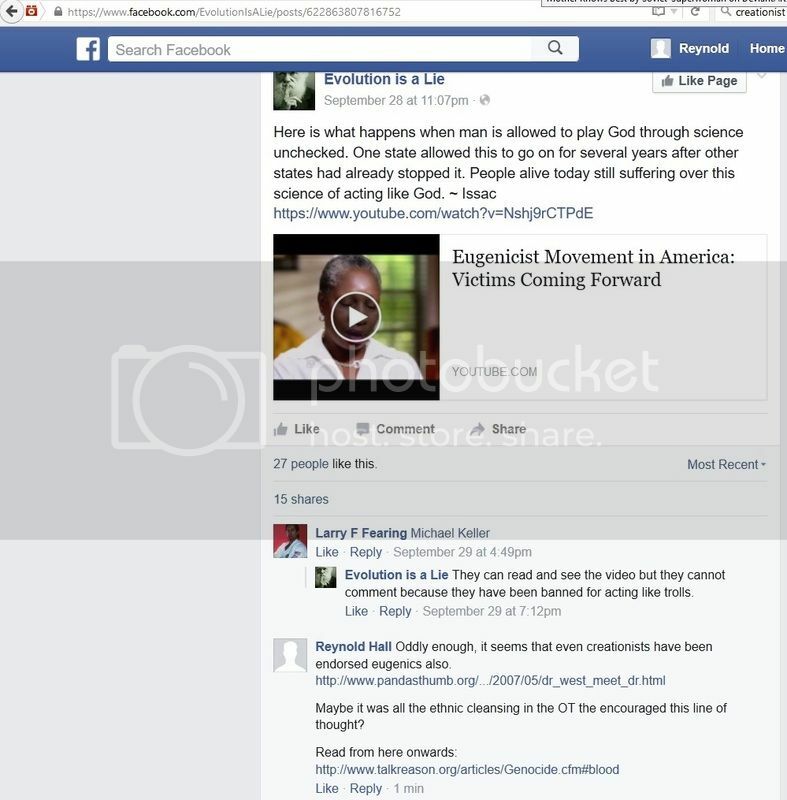 Perhaps we can debate on Kent Hovind's forum (when he gets out of gaol). Either Bourne is not very bright or he was searching hard for a reason to run away from here after a brief visit (or will he return)? Sorry to disillusion you Bourne. Like on Christmas Day I wanted to spend New Year's Day without switching on my computer even once. Yet Bourne now says I 'quit' because I didn't respond to something or other from him within 24 hours (I'm probably the most regular person posting here as well)! Now Bourne knows what it is like to have some comments censored. Unsurprisingly he doesn't like it. Nor did I when he did the same thing to me on HIS pages. IssacBourne wrote: 1) Yes right you don't know me. 2) You gave NO valid reason. 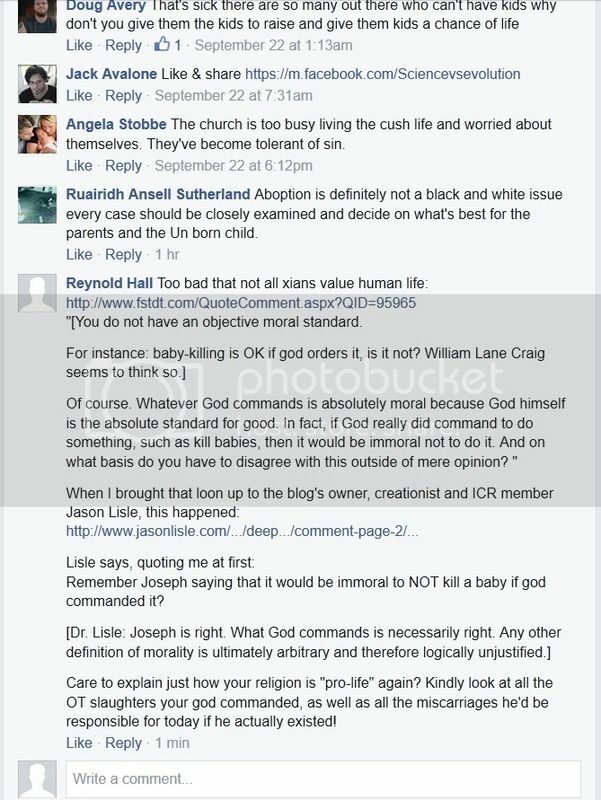 4) "No creationist likes you ... no creationist can stand it". And there was I thinking you wanted a 'debate'. And reading your words anyone would think debunking YEC claims was difficult. What the YECs hate is that I do it in a thorough manner because I have time on my hands and do my homework. And I try to avoid eg failing to give examples or failing to explain clearly what I mean - or resorting instead to the fictional 'emotionalism' that liar Bob Sorensen bangs on about. The people who disagree with evolution do lie. Questioning evolution is not necessarily lying. But the people who do that do lie - about their opponents and about scientific evidence and whether it counts for anything. You are not in much of a position to moralise when you start a facebook page entitled 'Evolution is a Lie' and ban people who disagree. It appears that Bourne's courage is now failing him? However (unless that is explained on another thread) I would like to know what of his was deleted and why it was deleted. I am in favour of free speech (within reason). a_haworthroberts wrote: It appears that Bourne's courage is now failing him? However (unless that is explained on another thread) I would like to know what of his was deleted and why it was deleted. I am in favour of free speech (within reason). It was not deleted for any reason, it was by accident as I have explained. Nor was there, as far as I am aware, any content that anyone would be inclined to censor - it appeared to be a long post, illustrated with diagrams, that constituted his opening platform for his debate. It gave the impression of being largely the same old creationist boilerplate. I cannot tell you any more because I did not read it. Gotcha. I don't think so. "If every biological life, and all things connected to that life, evolved. Where is the evolution tree for DNA?" "A phylogenetic tree or evolutionary tree is a branching diagram or "tree" showing the inferred evolutionary relationships among various biological species or other entities—their phylogeny—based upon similarities and differences in their physical or genetic characteristics." Bourne REALLY loves his ignorance. As do his small band of pro-ignorance, anti-science facebook readers. One assumes though that some of them DO know that DNA might be 'something to do with' genetics. How you know you have out debated them is when they refuse to use that mountain of evidence they always claim to have and resort to using troll tactics. It shows how weak their argument really is. Because they prove nothing scientifically. ~ Issac"
He goes on about abortion in a post that I can't find anymore, though he does have others where he claims to be against it. 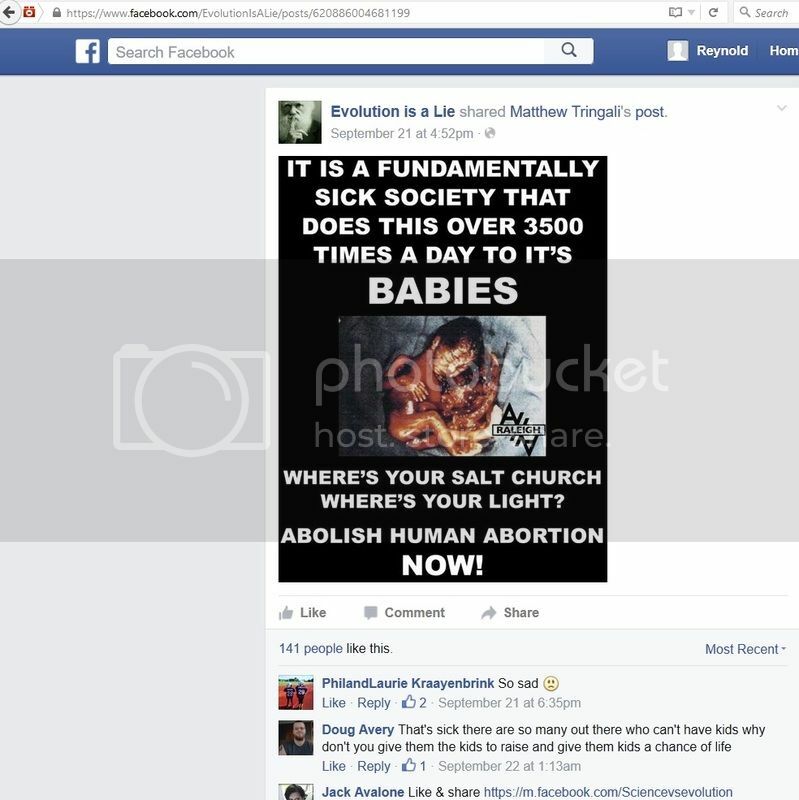 The first image has one of the typical religious right's "gross-out" pics of supposedly aborted babies...all really late in development, of course, so I just posted the link to it instead of making the image here. It just has his "argument" and not my reply anyway. This is the link that got truncated on that page. 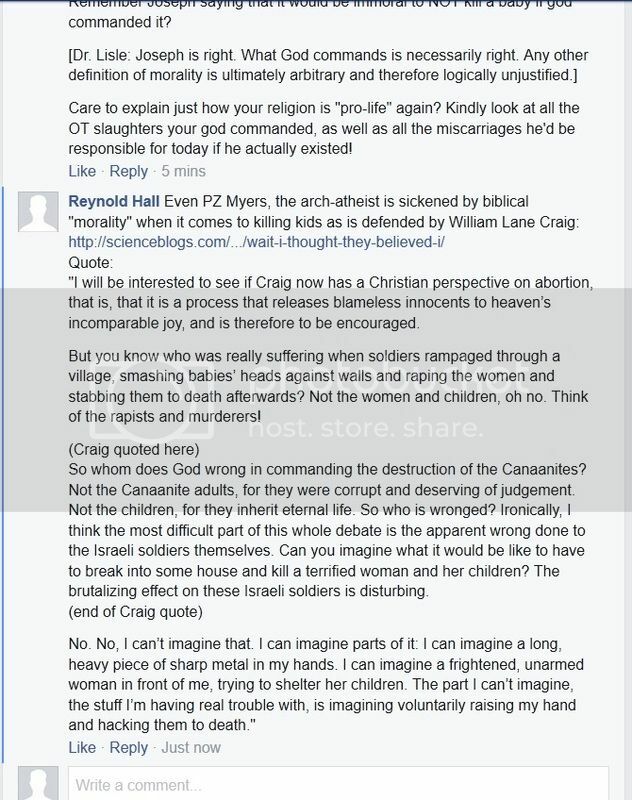 This is the link to Myer's post about William Lane Craig. This is the link that I stupidly forgot to put in my comment there. 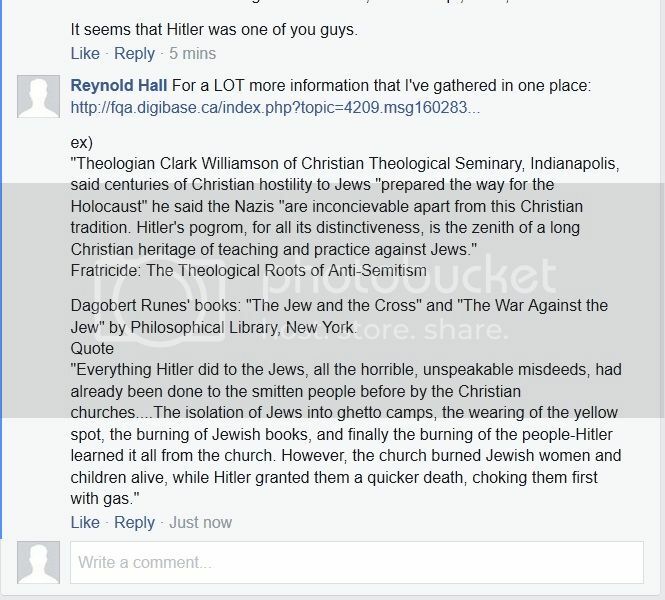 Not that it matters, since it got taken down...it's a review of Weikart's book "From Darwin to Hitler" itself. This is the post where I had gathered a whole bunch of material about this. 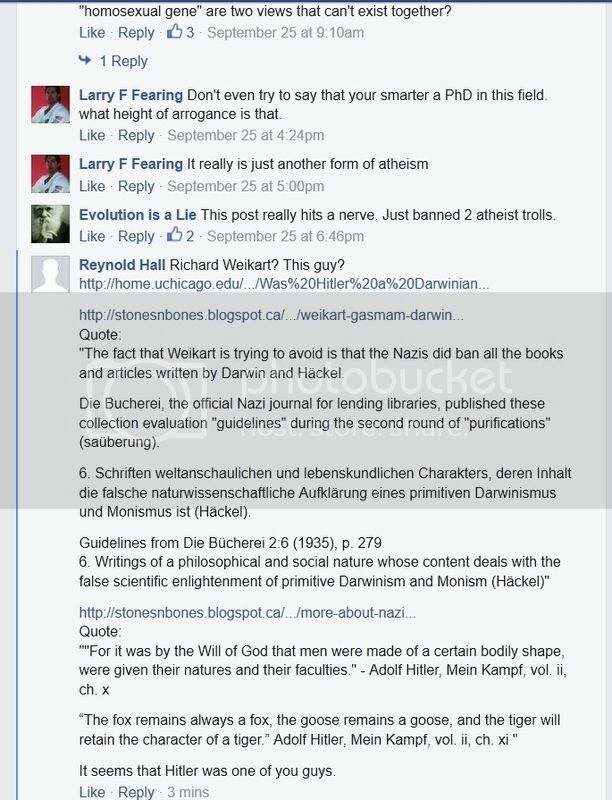 That page may also be useful in seeing if Darwin was as "racist" as Issac claims. Darwin was no more racist than anyone else of his time. Maybe I or someone else can look up those little quotes of his? This is the link that is in my comment.